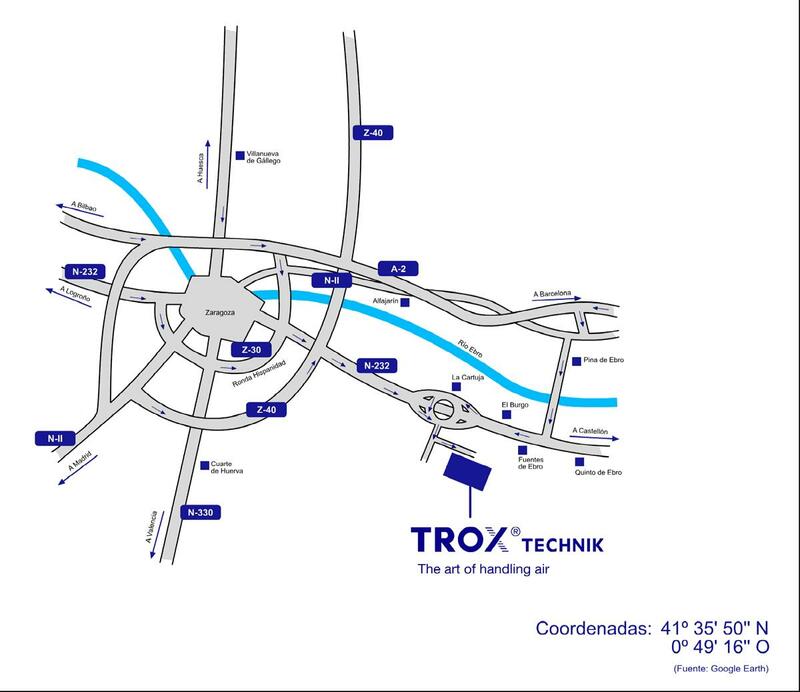 Type MFI | TROX España, S.A.
As standard, constructions PLA and SPC used as fine dust filters have no seal. 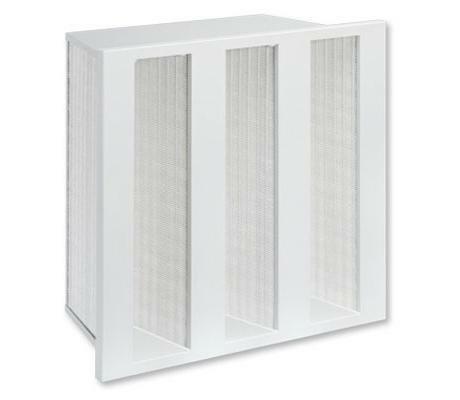 Mini Pleat filter insert type MFI for the separation of fine dust and suspended particles such as aerosols, toxic dusts, viruses and bacteria from the supply and extract air in ventilation systems. Mini Pleat filter inserts are available in all commercial sizes, filter classes M5, M6, F7, F9, E10, E11, H13, H14. 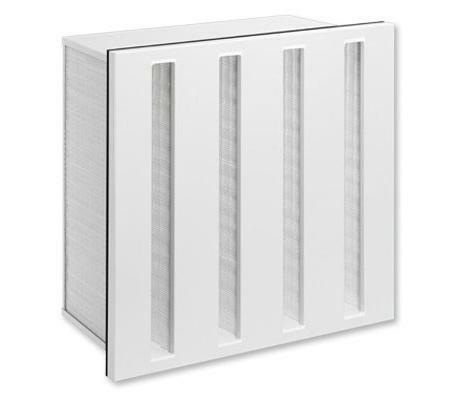 As standard, fine dust filters have no seal; flat section seal as an option. 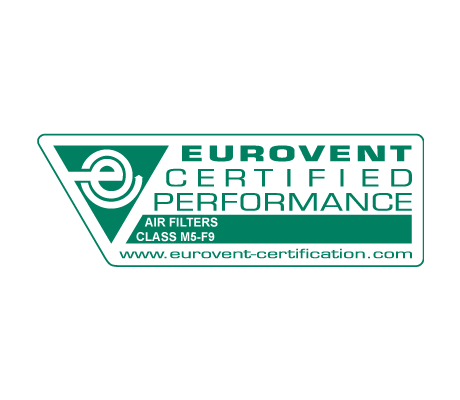 As particulate filters with flat section seal. 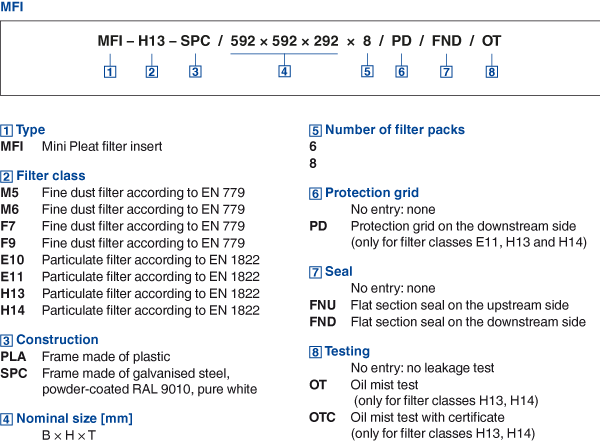 Filter classes E11, H13 and H14 with protection grid at the side. 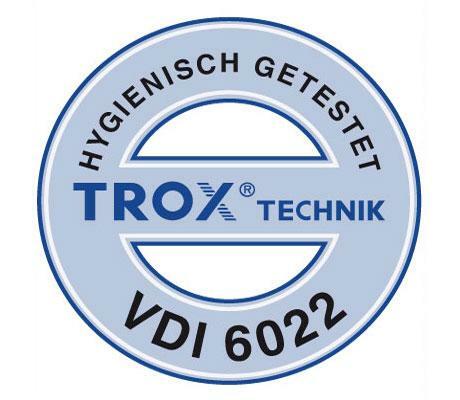 Mini Pleat filter inserts used as fine dust filters are certified by Eurovent and meet the hygiene requirements of VDI 6022.